As a part of Fimelahood Bloggers from Fimela.com, I’m proud to say that our beloved Fimela.com is about to turn 3 years old. Wow! That was (unbelievably) fast. 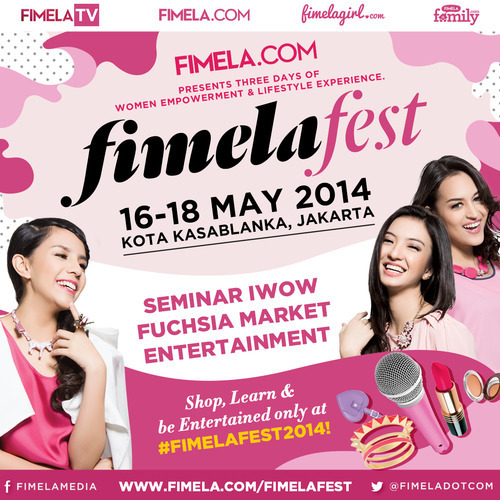 And in conjunction of Fimela.com 3rd anniversary, there’ll be a seminar IWOW (Indonesia World of Women) on May 17th, 2014. Let’s join the seminar (see the banner above). FYI, you can order the PreSale tickets through me if you wish. Recommended to buy on PreSale season as they’re cheaper. The earlier always get better in this matter. See you there! One lovely afternoon me & fellow beauty and fashion bloggers were invited by Wardah Beauty & Fimela.com to celebrate the launching of two Wardah’s latest eyeliners, set at the chic Portico, Senayan City, Jakarta. Since 1995, Wardah has been accompanying every Indonesian women with beauty products which are made with all natural, premium, halal and safe ingredients. Once a favorite for Moslem women, the brand now revamped to be favored by broader public. And in conjunction with Fashion Nation Event last end of March, 2014, Wardah Cosmetics launched their EyeXPert Series, consists of two eyeliners, Staylast Gel Liner & Staylast Liquid Liner. Great texture, it’s very soft & creamy so it made easy to apply (especially if you’re a first timer gel liner user). What a black. I mean, really pitch black! Perfect to achieve those bold or cat eyes lines. It’s matte, waterproof & smudge proof! Come on, with our hot & humid weather, what else do we expect from an eyeliner product, right? The packaging is very compact, the brush provided on top. Moving on to the second eyeliner, it’s Staylast Liquid Eyeliner. Surprisingly, even though I was never a big fan of liquid liner as I found it harder to apply and longer to dry, this product had me at its’ first stroke. This will be the perfect eyeliner for party look as it’s more glossy and a bit shimmery when applied. And thanks to their volatile solvent formula, it dries faster than other liquid liners I’ve tried, without those tight feelings. Above all, these two eyeliners are recommended for their performance and very affordable prices. FYI, currently I’m also an avid user of Wardah’s lipsticks for their soft and non-drying formula (I’ll post about their lip palette soon). For more infos about Wardah, you can follow their Instagram & Twitter @wardahbeauty. Harumi in yellow, and fellow blogger Nuniek. Me in blue. Vanity Trove from Singapore. Sample goodies galore indeed. When it feels like opening a Pandora’s box with all the beauties inside. Read on. As blogger, I’m lucky to try out different new beauty products before they even launch to public. But I can imagine being one that eager to try but spending cash for a full size beauty product which totally new (as in we never tried them ever before), is too much to ask. This familiar situation was read by Harumi Sudrajat, fellow beauty blogger and her friends. On a beauty day out (a lovely pampering event) exclusively for Fimelahood Bloggers United last Tuesday, me and fellow blogger were introduced to Vanity Trove Indonesia. For those who’s unfamiliar with the Vanity Trove, allow me to put it this way: you subscribe monthly for a certain amount of money, and depends on how long you’ll subscribe, you’ll receive a package of sample beauty products from skin care to makeup at your very own door by the end of the month. Previously available in neighbor countries such as Singapore, Thailand and Malaysia, now you can subscribe for Vanity Trove Indonesia. “In Singapore, they already running for a year and currently sending out 6000 boxes every month. 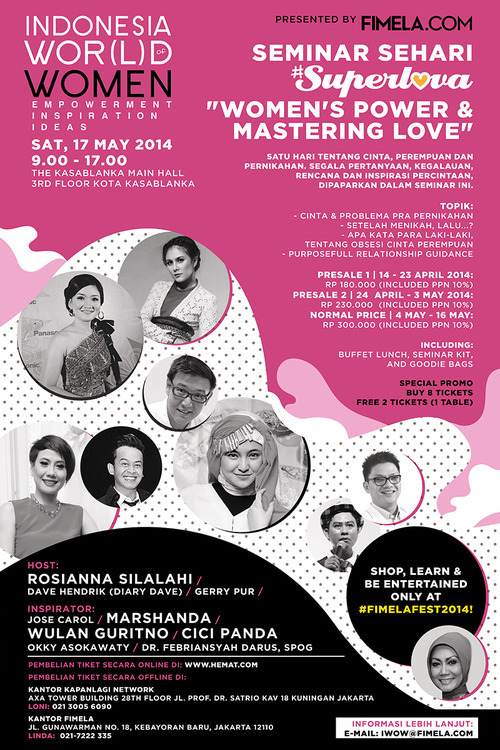 We want to take this beauty experience in Indonesia to the next level with Vanity Trove Indonesia. You can try out different beauty products without leaving home, by just a click away. The whole experience is that efficient and super exciting,” explained Harumi. She also chatted with me how she used to be a member of Vanity Trove Singapore, and she herself experience that excitement of opening the trove every month. Redeem your exclusive gift code (exclusive for my fabulous blog readers): “SHINTARO”. Click here. Starting from 25th to 31st you can expect that pretty troves right at your door. So, what are you ladies waiting for? Go on become a Vanity Trove subscriber and indulge yourself. Me in Parka Jacket. Hey, it was winter in Beijing. Me in curls. I do think I look better in curls. Weekend sharing time. Being street-style snap is cool and being asked to make review about beauty products is what I love the most. Being featured earlier this year in Fimela.com, Indonesian online fashion and lifestyle magazine, to review a beauty product. And much much earlier back in 2010, I was snapped in Beijing by Tongue In Chic, one of the most read fashion site in Malaysia. Thanks guys. Forever grateful.